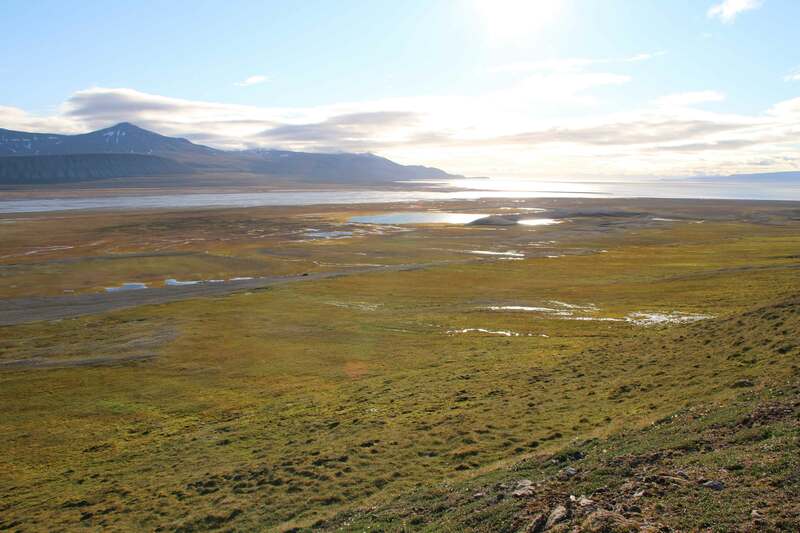 In the high-Arctic, moss tundra vegetation functions as hot spot of primary production and plant and herbivore diversity. The likely cumulative effect of herbivores and warming climate may drive the whole ecosystem from a moss-dominated system towards a herbaceous dominated system. Moss tundra is vegetation dominated by graminoids or forbs growing in a thick moss carpet. Moss tundra is formed in moist slopes and concave terrain forms. The forming and maintenance of such vegetation, and its functions, is inherently tied to the influence from both allocthonous inputs from sea birds, and to the activities of large herbivores. This kind of vegetation is crucially important for the successful functioning of the entire land-based ecosystem. A moss carpet holds the soil cool and the plants are the foundation on which the terrestrial food web rests. Climatic warming is likely to drive moss tundra towards a dominance of herbaceous plants. Herbivores can drive the vegetation towards the same direction as climate warming; less moss and more herbaceuous plants dominance. 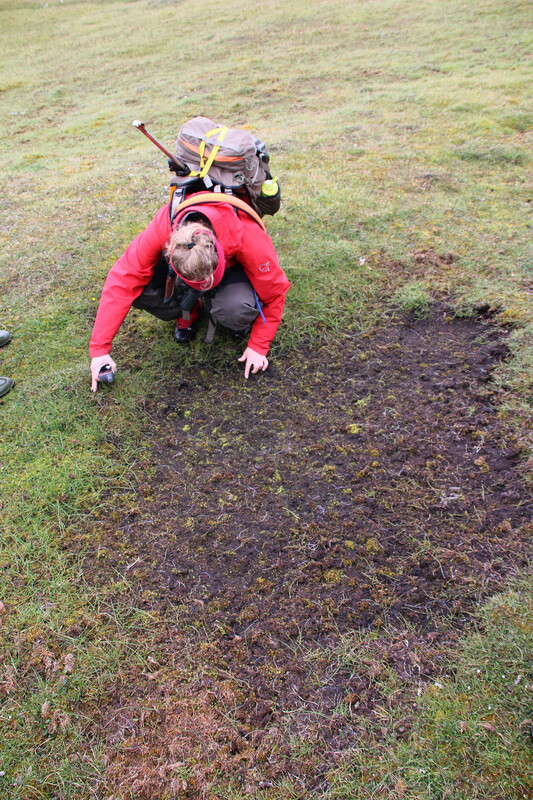 In combination with disturbance from herbivores that disrupt or remove moss layer, the climate impact can increase soil temperature and permafrost thaw depth. In extreme cases of disturbance, open patches with degraded vegetation cover develop. The likely cumulative effect of herbivores and warming climate may drive the whole ecosystem from a moss-dominated, cool soil, shallow permafrost, slow nutrient cycling system towards a herbaceous dominated system with warmer soil, deeper permafrost and faster cycling system. In coastal tundra, ornithogenic inputs from migratory birds that are also influenced by climate change may influence the direction of these ecosystem changes. The moss tundra module focuses on climate responses in quantity and quality of vascular plant species and functional groups, moss depth, erosion and de-vegetated areas, and plant community extent. The degree of management influence on moss tundra is hence currently low, but the situation is prone to change given management of human traffic, migratory birds and introduced plants may change in adapting to future conditions. 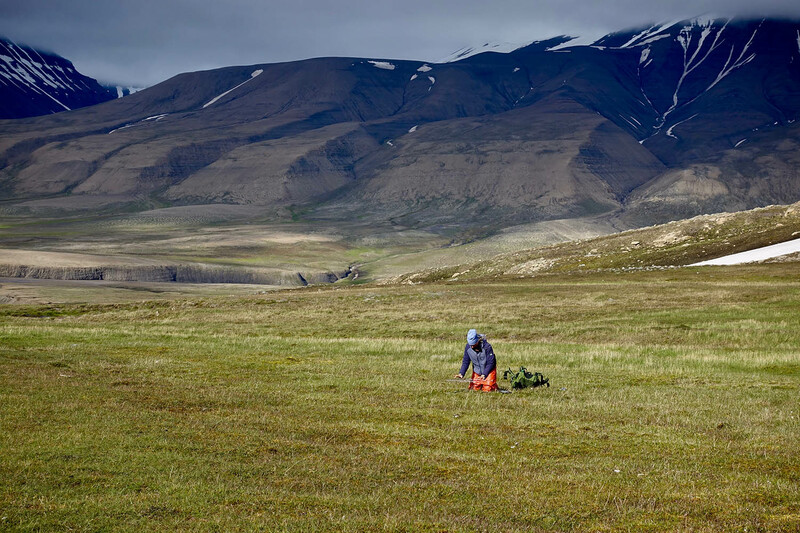 Moss tundra is monitored using a combination of field monitoring in several valleys and peninsulas on Nordenskiöld Land and on the central westcoast of Spitsbergen. Remote sensing is used for a selection of the variables, to ensure landscape scale coverage. The protocol for integrating field based measures of the plants, the herbivores and climate is currently under development, alongside with the remote sensing for up-scaling. Moss tundra monitoring is integrated with monitoring of plant phenology (vegetation greenness and onset of spring), pink-footed goose grubbing impact, ice damage, and snow in the landscape surrounding the moss tundra vegetation.